With a new year upon us, many people take the opportunity to make overreaching New Year’s Resolutions that they will never be able to own-up to. Whether it’s losing weight, controlling your temper, or drinking less alcohol, most of the typical Resolutions are a real drag because they go against the Nature of the Beast, and all of us are the way we are by-and-large due to things that are far outside of our control. However, when MeltedJoystick’s erstwhile photo/video-grapher (and part-time member of the MeltedJoystick Crew) came to me with the idea that each of us should commit to clearing three games out of our Backlogs in the coming year, I really liked the idea. Unlike trying to make changes in immutable biology or psychology, clearing games out of one’s Backlog is FUN. Plus the minor pressure that comes with putting one’s annual commitment in writing could provide the light kick in the pants needed by certain members of the MJ Crew to play any games at all. But calling this activity a ‘resolution’ is somewhat misleading. This commitment to play games we already own isn’t something that should require resolve or a hard, fundamental change in behavior. Thus, instead calling them ‘resolutions,’ I have chosen to call this activity ‘Backlog Ablutions,’ from the Latin for ‘washing away,’ and am pleased to announce that it will be a new annual feature on the Blog. Without further ado, let’s see what the three members of the MJ Crew (and Matt the photographer) have committed ourselves to washing out of their Backlogs (and reviewing!) in 2019, in their own words. Billed as a ‘Supernatural Thriller,’ this Adventure game from Night School Studio has garnered critical acclaim from both professional reviewers and regular schlubs. I have enjoyed Adventure games such as “The Walking Dead” and “Life Is Strange,” so “Oxenfree” seems like it would fit right in with those choices. Plus, the game boasts a lot of talent from the vocal cast including Britanni Johnson (Angel in the ‘Borderlands’ series), Gavin Hammon (Kenny in ‘The Walking Dead’ series) and Erin Yvette (Sasha in “Tales from the Borderlands”) among them, a ‘80s-inspired synth soundtrack from scntfc, and a unique look with art from a Disney alum. All together, this adds up to a game I think I will really enjoy. Those who know me also know that the Horror genre has been my bread-and-butter since the PS1 era and “Resident Evil.” Horror games are tough to get right and, in my humble opinion, nothing has ever come close to “Silent Hill 2” (though “PT” might have done so if given the chance). That being said, modern Horror has given a few nice surprises, from “Outlast” to “Alien: Isolation” (which I have not played yet, but I’m saving it for later). “The Evil Within” has a mostly-positive outlook from gamers and was good enough to warrant a sequel, so it’s pretty much something I should enjoy. The Stealth mechanics have me a bit wary, but the atmosphere looks top-notch for a Horror title, and I’m always willing to try something new – and it has the benefit of having Shinji Mikami (creator of ‘Resident Evil’) involved, so bonus. Pretty much every review states this is a great game… if you get it on sale. A mix of Adventure, Mystery, and Horror, the game puts you in the shoes of a detective, but wait – a murdered detective who is now a spirit, who has to solve his own murder! I mean, the concept is pretty novel, and the game gives you a lot of abilities to use. Beyond your own story, the game also gives you plenty of side stories, collectibles, and other such things to flesh out a pretty short main game. I’ve seen some people play this on Twitch and it looks like it would fit pretty well in my wheelhouse. There are some gripes to go along with this, so I’ll save this for last but I’m hoping for a solid, not necessarily mind-blowing, experience with this one. Over the past few years I have been playing through several classic RPGs, mainly 4th Gen titles. 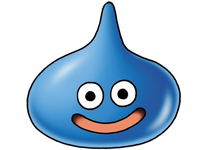 My focus has been upon the ‘Final Fantasy’ series (I, II, and IV), while the beloved “Chrono Trigger” and the best of ‘Dragon Quest’ remain in the Backlog. Despite spending my formative years gaming with 3rd and 4th Gen consoles, I hardly played any RPGs - The first “Dragon Warrior” and “Final Fantasy VII” were about it. This year I plan on dusting off “Final Fantasy VI,” one the most critically acclaimed RPGs of all time, released in 1994 by Square. I can’t go wrong with this game. The story of a noble rebellion waged against a tyrannical empire is timeless, and the band of characters in a magical steampunk world is iconic. One important consideration for all my gaming choices is time: a precious commodity. This game should be within reach, coming in at around 41 hours, according to estimates on HowLongToBeat.com. It will be first on my list to play. I have been wanting to play this title since its release in 2015. Having studied the Classics as an undergrad and grad student, the unique setting appeals to my sensibilities. “Apotheon” is an Metroidvania-style Action/Platformer designed to look like you’re playing it on a piece of ancient Greek pottery. The story is steeped in mythology as the protagonist is given the task of slaying Zeus, commissioned by none other than Hera, his wife. Rolling in at around 12 hours to complete, this is the shortest game on my backlog resolutions this year. Plus, I find it always beneficial to mix things up a bit, following a longish RPG with a shorter Platformer should be a good choice. This will be my first video game venture into the world of Middle-Earth. Released in 2014 and praised by critics for its combat system, “Middle Earth: Shadow of Mordor” is the prequel to the controversial loot-boxing “Shadow of War.” As a fan of Tolkien’s universe and mythology, this Sandboxy Action/Adventure should balance out my other two titles. My primary concern with the game is its open world. I tend to prefer games that aren’t built in such expansive settings only because there is often TOO much to do in the game. Open worlds are often visually appealing and stir the imagination, however I need to also be practical and tackle games that I know I will finish. According to HowLongToBeat.com the average time for the main game plus extras and all the DLC content is around 32 hours, definitely within reach to make it a backlog resolution. Nobody is happier about the phenomenon dubbed ‘The RPG Renaissance‘ by PCGamer Magazine than I am. Last Gen, I was thinking the genre was well and truly dead, supplanted by Action games wearing well-chewed fragments of its skin like a macabre costume. Yet the 8th Gen (circa 2012-present) has produced gobs and gobs of honest-to-goodness RPGs thanks to a rabid demand for them and the willingness of RPG fans to throw money at Kickstarter campaigns. While I have played most of these RPG Renaissance titles and have my eyes on their sequels, there is one gaping hole in my RPG experience: ‘Shadowrun.’ I never played the tabletop game, and never played either the SNES or the Genesis cRPGs based on it. “Shadowrun Returns” was one of the first out of the gate during the RPG Renaissance, releasing in 2013, and I’ve owned it since 2014, so it’s about time I gave it a shot to see if the IP clicks with me or if I’m best served ignoring it in the future. I love Insomniac Games for their long-running-but-now-sadly-all-but-dead ‘Ratchet & Clank’ series of 3D Platformers. That series opened me up to 3D Platforming in a way that “Super Mario 64” and all of its off-brand competitors like ‘Croc,’ ‘Spyro,’ and ‘Jersey Devil’ never could. So I know Insomniac is incredibly capable when it comes to nailing down mechanics that other developers (even well-respected ones) struggled with. Thus I was excited when I learned that they were working on a brand new IP and that said IP wouldn’t be held hostage by Sony. “Song of the Deep” is a Metroidvania-style Action/Adventure that actually takes a lot of inspiration from the aged ‘Blaster Master’ IP, in that the player controls a vehicle, but can eject the pilot to explore otherwise inaccessible areas. Combine Insomniac’s track record, Metroidvania awesomeness, and the further novelty of the entire game taking place in a submarine environment, and it’s easy to see why I picked up this game during the Steam Winter Sale in… 2016. I bought this Tower Defense game in March of 2012 and never played it on my account. I remember playing some the sequel with Nelson and enjoyed it. I was craving a lot of Tower Defense back then, and possibly soaked in too much of the genre after countless hours in "Dungeon Defenders." Now it’s time to go back and finish this game, because Tower Defenses are fun. I bought this retro RPG back in May of 2012. I played for five hours, but never finished it. I didn’t stop playing it because I didn’t like it or anything, it simply fell off my radar, most likely in favor of coop gaming with the Crew. Old-school RPGs are a favorite of mine, so re-playing and finishing this title makes sense. I bought this platformer in July of 2012 and never played it. With platformer games being possibly my favorite genre, it’s hard to believe I haven’t played it yet. It’s a short game that should be easy to get through, but does have some trolling aspects that will cause many deaths. A secondary goal for this game is to get 100% of the achievements, which will require at least a second pass through. I should enjoy this game despite Nelson's negative review. I thought "Shadowrun Returns" would be fairly long. But it's not. So if it makes you feel any better, DB, I'm going to just pound all 3 new 'Shadowrun' games back-to-back. To be fair, right now I'm playing both Horizon Zero Dawn and Just Cause 3 - so I'm already neck-deep in lengthy games. Plus I do actually want to finish my list by the end of the year. I see none of you except Matt had the guts to put down a single lengthy game on this list. Baby steps I guess.